"The European Green Belt, our shared natural heritage along the line of the former Iron Curtain is to be conserved and restored, to function as an ecological network connecting high-value natural and cultural landscapes whilst respecting the economic, social and cultural needs of local communities." An extraordinary ecological network and living memorial landscape has developed along the former Iron Curtain, which divided the European continent into East and West for nearly 40 years. Along more than 12,500 kilometres – from the Barents Sea at the Russian-Norwegian border, along the Baltic Coast, through Central Europe and the Balkans to the Black and the Adriatic Sea – the border zone granted nature a pause and has created a zone of life. As the European Green Belt snakes from north to south it passes through a huge variety of European landscapes. Today, the European Green Belt forms the backbone of a Pan-European ecological network and provides a significant contribution to European "Green Infrastructure". The European Green Belt Initiaive aims to harmonise human activities with the natural environment and to increase opportunities for the socio-economic development of local communities. 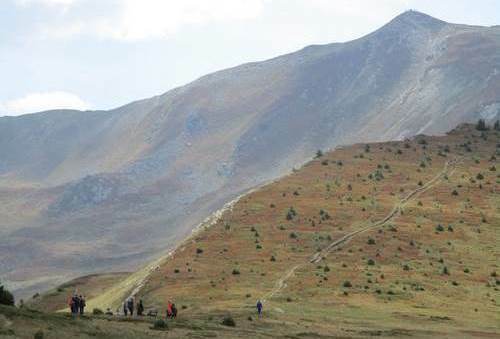 On the occasion of the European Green Belt Days 2018, more than 50 people went hiking in the mountains. Their destination was the Three Countries Peak of Albania, Montenegro and Kosovo, one of the austere beauties of the Balkan Green Belt. To mark the 29th anniversary of the fall of the Wall in Germany, the Thuringian parliament passed a very forward-looking law on 9th November: the European Green Belt in Thuringia was designated as a National Nature Monument. European Green Belt Association e.V. The European Green Belt Association e.V. is registered in the association register at local district court Charlottenburg under reference number VR 33869 B.